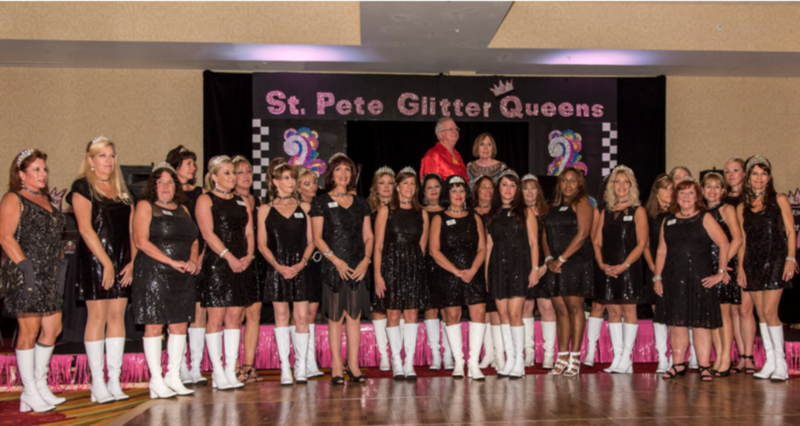 Pinstripe Marketing is proud to support the St. Pete Glitter Queens at their annual ball. The 2017 beneficiary is the Beth Dillinger Foundation. 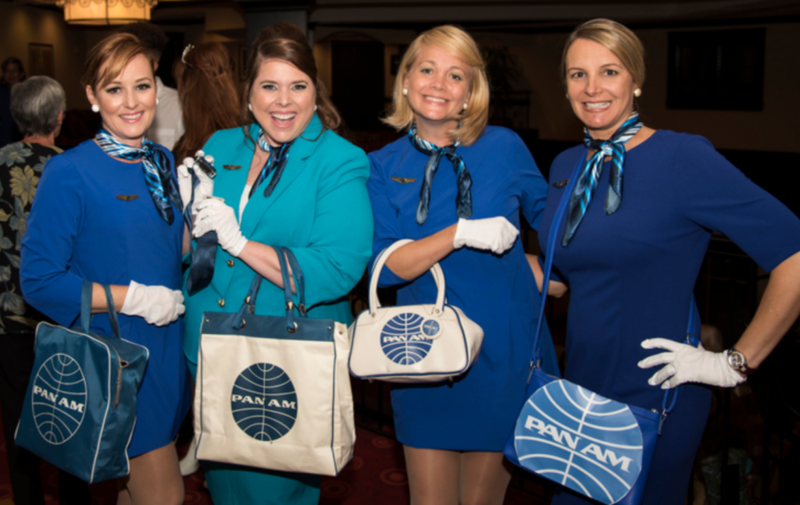 The event theme was “Mod About the 60s”, so instead of go-go boots and Pucci prints, our team dressed as vintage Pan Am flight attendants, complete with flight bags, safety demonstrations and plenty of peanuts! 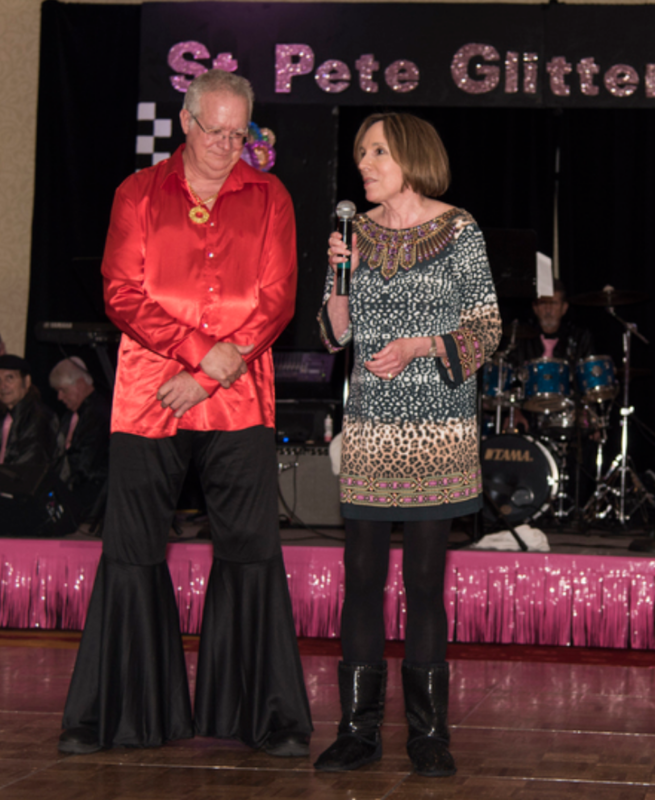 The Beth Dillinger Foundation was created in 2007 by Bob and Kay Dillinger in memory of their beloved daughter, Beth. The Beth Dillinger Foundation (BDF) is a not-for-profit 501(c)(3) organization that provides support and education to youth in need. Bobbie and Ginger were high school friends of Beth and have worked with the Foundation on several projects to honor her memory. The Beth Dillinger Scholarship Fund, a scholarship endowment available to boys and girls who wish to continue their education, but do not have the funds to achieve that goal. Beth’s Corner is a room created at “Ready for Life,” an organization with a goal to assist youth aging out of the foster care system. Nourish to Flourish, a partnership with the 6th Circuit Public Defender’s Office and the Beth Dillinger Foundation to feed chronically hungry children in our area. 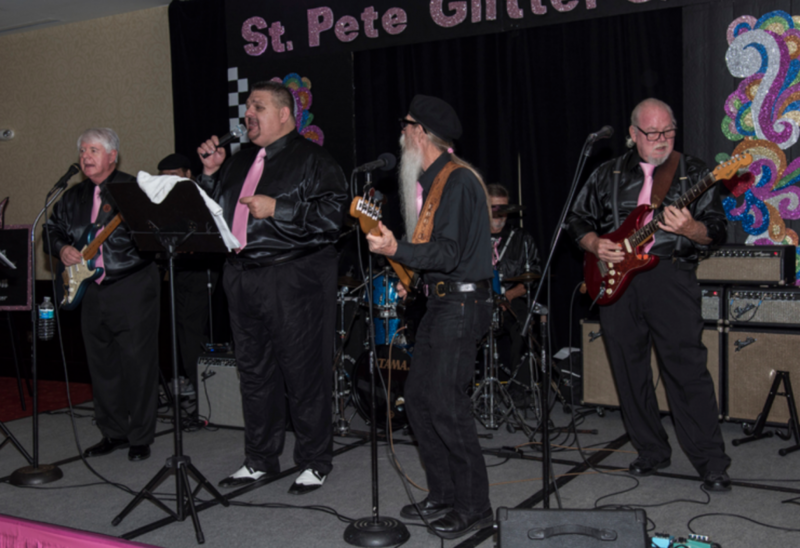 The event and St. Pete Glitter Queens raised $73,697 that evening. A match from the Pinellas Education Foundation will quadruple a portion of the funds to $160,000 in scholarships for the Beth Dillinger Scholarship Fund. 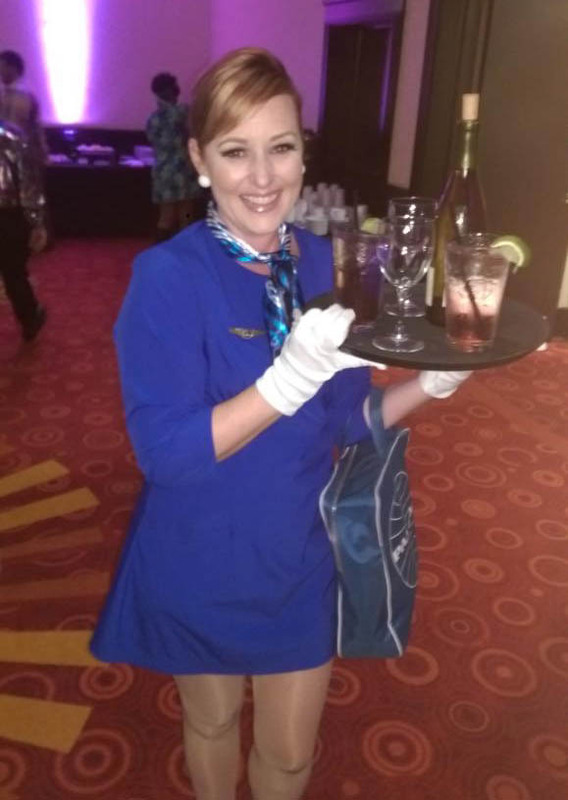 Read more about the event in Ernest Hooper’s column in his Tampa Bay Times column.